Richmond oaks initiative submitted, awaits go-ahead! And due south of Napa yet another oaks fight kicked up 2016, with Forests Forever in the thick of the fray as well. 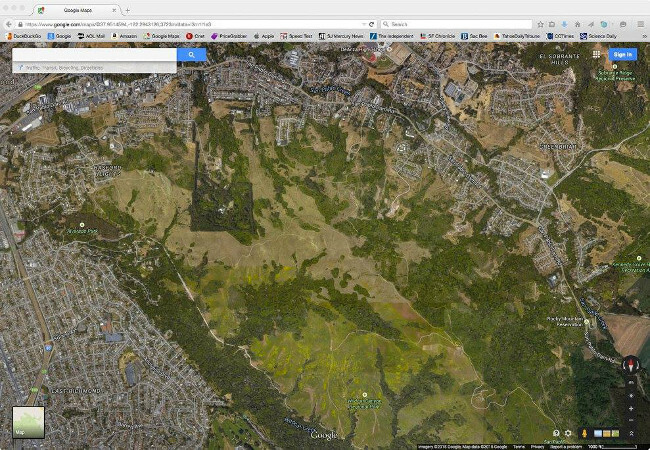 In contention: 430 acres of oak woodlands threatened with development in El Sobrante Valley adjacent to the Wildcat Canyon Regional Park in El Cerrito. The Richmond Hills Initiative would protect rare and endangered species, help sequester carbon in vegetation and soils, safeguard wetlands, and provide for recreation, agriculture and similar compatible uses. 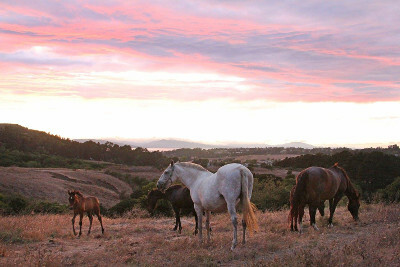 The parcel is directly adjacent to the 2429-acre Wildcat Canyon Regional Park. The initiative would accomplish its preservation goals by amending the Richmond General Plan by enacting large-lot rural zoning that can only be modified by the voters of Richmond. Surrounded by private and public lands, the area includes nine streambeds and their riparian zones, as well as vernal pools, oak forests, and pasturelands. Teaming up with the local Richmond Hills initiative campaign, Forests Forever on Nov. 10 turned in its final stack of petitions to qualify the measure for the ballot next spring. We gathered 2180 of the 6425 signatures—over one-third of the total. "We are thrilled to play a significant role in this important local conservation effort," said Forests Forever Executive Director Paul Hughes. "Native oak woodlands are fast disappearing in California, yet they arguably constitute the most valuable wildlife habitat of any forest type." The initiative would save these threatened woodlands by revising the Richmond General Plan. It is aimed at the spring 2017 election. "We really could not have done this without the perseverance and commitment of Forests Forever," said Sarah Willner of the Richmond Hills Initiative campaign. "You really rocketed up our signature count, a weekly injection of optimism into our effort."